You can help us alleviate joint and muscle pain in our aging patient base. In just one generation, over ten million Canadians will experience a form of joint or muscle-related disease. Providence Healthcare provides essential services to the growing aging population, and an increase of joint-related problems will put a big strain on our system by increasing rehabilitation and wait times for everyone. Providence Healthcare needs Musculoskeletal Ultrasound technology to help diagnose disorders of bone, joints, tendons, muscles, ligaments, blood vessels, and nerves. This technology will have image guidance capability, which means hip and complex joint procedures for patients can occur on-site! Ultrasound enables accurate joint injections to occur, reducing pain and improving function in our rehabilitation setting. No patient likes to be transferred hospital to hospital. This equipment will allow timely diagnosis, reducing transfer and rehabilitation time. With the right equipment on-site, research students can identify opportunities to improve health care for our aging patient base. It's Giving Tuesday and the time to help change lives is today! 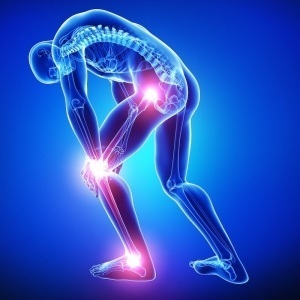 Help us alleviate joint-related pain for our patients. Every dollar WILL make a difference in their lives.